Imported from Italy by Ferrara Mfg. Specialty Products since 1892. 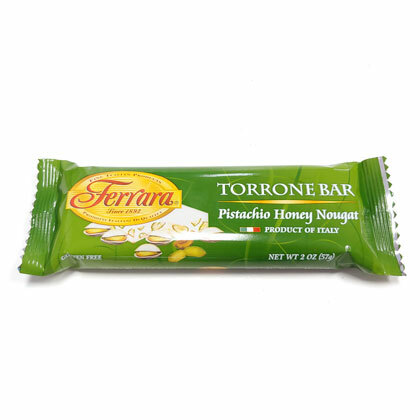 Pistachio honey nougat flavor. Net weight per bar is 2 oz. Bar is approx. 5.5in long and 1.75in tall.